I don't normally give 'crypto advise' or share referral links on Airdrops, because, well, many people are doing that, especially on Steemit, and I'm never the first to share the big news. But, more and more I start to feel more 'on top' of info than I give myself credit for. If I compare myself to one group of people I might not be a frontrunner, but to another group of people I am. I explain the 'how to receive' process of each of these projects below. Byteball decided to expand it's projects' reach by creating an airdrop specifically for Steemians! Isn't it cool to receive special treatment just because you're active here? This airdrop got me 80$ (40$ free to spend NOW and 40$ to spend in a year) in my wallet. I can immediately convert it to BTC and trade or spend it any way I want, and since this is quite a big amount of money I'd love more Steemians to enjoy it. Once you've received these bytes from me you can click the 'Payment request' link in the Bot Chat and get your tokens automatically send to your wallet. Another token you can receive for free because you're already involved in STEEM is the HUNT token. Now, you don't have to do anything to receive them, since you will get them airdropped 1:1 based on how much Steem Power you have. But you can collect a bit more if you 1) delegate some Steem Power to the @steemhunt account (and no, delegated SP doesn't lose you HUNT coins during the airdrop!) and/or 2) by upvoting hunts through the website steemhunt.com. 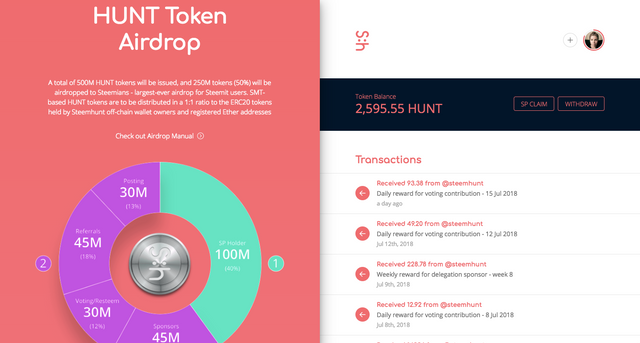 Steemhunt is a platform on the Steem Blockchain that rewards people for sharing cool (product) 'hunts'. It's extremely good looking and works very well. I really love gadgets and am often on Kickstarter just browsing through new projects, so going to steemhunt.com and upvoting a few cool finds is plain fun to me. I often do it at the end of the day if I still have some Voting Power left. I gathered around 2500 HUNT tokens by delegating 200SP and upvoting from time to time. I found out about Mannabase last summer and read the whitepaper while in the train to London. They promote 'Universal Basic Income' and give everyone free Manna coins every week, thus providing the basic income. Universal is a huge goal to get to, but if we all register and refer at least a few people the project might come closer to it's goal. Now, the idea that these tokens will give people in developed countries a true 'basic income' (with which you can do grocery shopping and/or pay rent) is in my view not realistic. The project is very much focused on getting underdeveloped countries an income or at least supplement to their income. 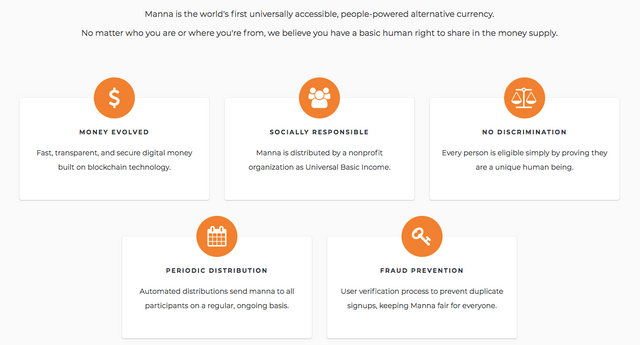 Why it's still worth is to join Mannabase even if you're living in a 'rich' country is because 1) you help grow the user base and therefore add to the chance of it to succeed als by referring and 2) basically they want you to have some coins you can donate to countries or groups of people who need it. In the whitepaper they describe the possibility to donate money to a very specific group and/or region, for example 'to people in the Philippines after a flood', or 'to women in Ghana' because you want to support women in Ghana get some financial freedom. 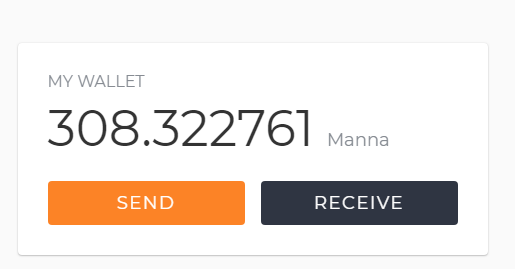 After you subscribed and start receiving a weekly Manna payment, you can refer your own link (here is mine) to grow your payment, an upgrade will last for one year. The last project I'll share today is the presearch project. Presearch wants to build a search engine on the blockchain which might be very interesting if we think about the dangers and negative side effects centralized search engines have showed to bring us so far. For every search you do you receive a (subtle but nicely animated) 0.25 PRE token in your presearch wallet. To prevent abuse they limit the amount of tokens you can collect a day to 8, and at 0.11 currently that's 0.88$ a day. But prices were double only a few weeks ago and I believe the project will gain traction and I simply want to support a cool project like this. Since this post is an experiment I'd love some feedback. Did you already hear about these projects? Did you hear about them from me for the first time? Would you like me to do more of these posts in the future? If yes, is this the right format or could I do something more/less/different? Yeah, I just did the byteball thing, and Initiative Q. My first try at these things, LOL! I still do not quite understand much about these things. And YAY for doing the first two! Okay, later today, I shall sign up for the rest using the links you provided... and learn through the process. Thanks for your offer to help me understand these stuff. It intimidates me, and only because I have not taken the time to learn, and use my busy work and social life as a reason. I said that like other things, I will just learn about it "naturally" and by osmosis... but now find myself a little behind. LOL! Hola @soyrosa, your post got me to actually do this! Well, I already have a mannabase account since some time back. but I had heard something about this byteball thing, and now I have done it. It doesn't look anything like the address someone else posted below. I did the whole thing following your instructions, and it seemed to go well. Thanks, going to attest your BB address: ERBZGW6UU7THNKTVLRBDYQ2CKIYDYVDG. So I suppose that is it. Haha, I thought I was coming along in the crypto world, but a few months slacking off for crypto depression and I am clueless again. Heeey @spaingaroo! That's amazing! I'm so glad you're signing up right now :D Glad you've found Mannabase already! Do I need to do your final step? It seems to say it has sent both rewards. Oh, and don't cry please, just celebrate you've found and entered the crypto world, LOL! I think I will hodl, now I have gotten this far. I think I bought some PRE on an exchange, but I am not sure they are the same things. Awesome! :D Yes, the coin you bought should be the same as the one you're earning through the website :D Except the website doesn't let you cash them out - yet - should happen soon though! Wow, i have never heard all of them. Might get them try now, they're free. Thank you for all the info. Blessings! Awesome! Glad I was able to update you on some cool projects :D If you need any help please let me know! For byteball you need someone to pay your fee, I'd gladly do that if you put your wallet address here :D Good luck! Hi hun! I have just done the byteball airdrop thingy lol here is my address if you wouldn't mind doing the fee that would be awesome, thank you! thank you so much, and thank you for the info too! :D quick question though... how do I convert it to btc? is there a certain exchange? Byteball is het meer dan waard! Met jouw REP krijg je 20$ nu en 20$ wordt opgeslagen in je wallet en mag je over een jaar uitcashen (als het hopelijk meer waard is geworden :D) - Let me know! Als je je wallet address hier plakt zorg ik dat je de fee ontvangt die je moet betalen. 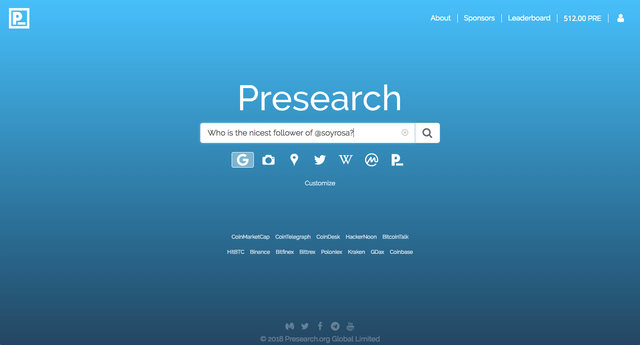 I didn't know Presearch - sounds really interesting, I will try it out! Are the search results the same as Google? It sure does! Using it is really convenient since it redirects to google - awesome! Sent! 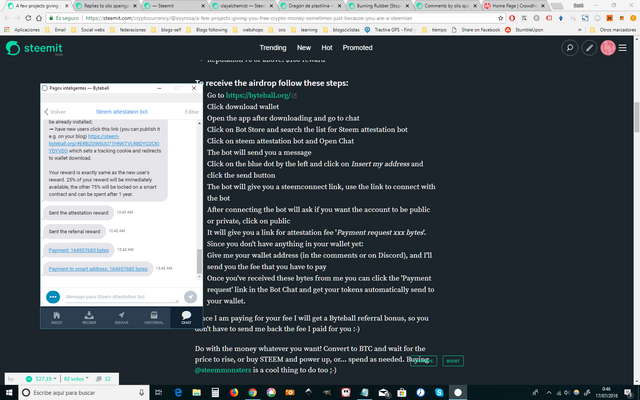 You just have to go to chat and find the message with the link 'payment request xxxxxx', click that link and send :-) Enjoy! Oh thanks! I just joined presearch and I am loving it already! :D I see it as a fun way to promote basic income and have a low-cost way to help others in need! 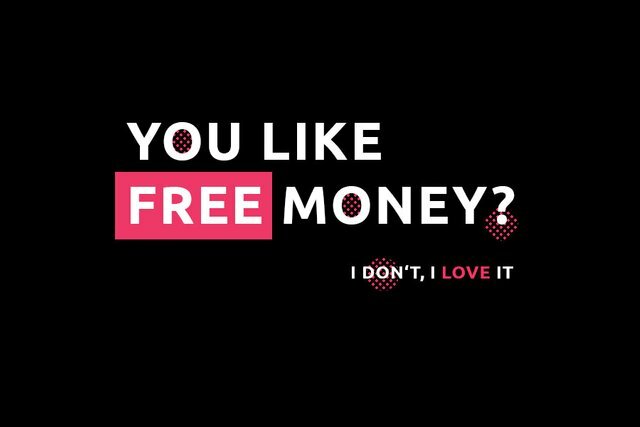 That's a good way to look at it :) Do you use steembasicincome? Wow, this is cool. I didn't even know such things existed. I'm going to check them out. I'm contstatnly amazed by crypto and the changing monetary landscape. We seem to be living on the cusp of a great wave of change in financial use and currency. It's pretty fascinating to see where it goes. And yes, share more of these. Really interesting. Yes, the landscape is changing quite fast indeed! I feel like we landed here at the right time :D I'll keep sharing more! Mannabase is ok, but it is really slow. It is about 1 cent per week. The Presearch I didn't try but they require too much personal data. The Byteball is really new to me, I am already verified there so I am waiting to see what will happened with that one. I have already take the Byteball reward and I have heard about the mannabase but not in details. I just installed presearch and I'll see how it goes and I'll take a look to the others too. I think it's a useful post, I would like to see more like that in the future and the format looks fine to me. I hope you'll enjoy presearch! I can see myself going down this same path. Thank you for sharing this. It’s a wake up call for me.